Are you tired of your never-ending acne problem? Have you used expensive treatments and medicines to get rid of it but failed? The reason is that you never really looked for the root cause. The excess oil, dead skin cells and other toxins are the major causes of acne. All these causes may take place due to hormonal imbalances, poor diet, poor hygiene, medications, and other factors. Almost everyone will experience acne at some point in their lives, but that doesn’t make it any less embarrassing. Fortunately, you don’t need to spend tons of money on them anymore. You can cure the problem with proper diet, skincare routine and a few natural ingredients present in your kitchen. One of such ingredient is ice. We’re about to tell you exactly how to use ice for acne, but first, take a look at the reasons why it’s such an effective treatment for acne. Icing a pimple reduces redness, swelling, and inflammation. It shrinks the pores, and by extension, the size of the breakout. Using ice cubes for pimples on a regular basis keeps pores small so they’re less likely to get clogged. This also makes skin firmer and smoother. It diminishes the size of skin pores by constricting the blood vessels underneath the skin . Smaller, tighter pores means bacteria are less likely to get in and cause infections that lead to acne. It washes away dirt, dead skin cells, and other impurities that clog pores. Ice makes the surface of the skin more permeable so that topical acne treatments become more effective. Putting ice on a pimple helps relieve pain, itching, and burning. Ice can be used alone and in combination with other natural ingredients that heal and prevent acne breakouts. Try all the methods below until you find the one that works best for you. Wash your face with a mild cleanser, rinse with warm water, and pat dry with clean towel. Do not scrub vigorously as this spreads bacteria to other pores. Place ice cubes in a plastic bag or clean towel. Place the ice on pimples for 5 minutes, remove for 5 minutes, and replace for 5 minutes. Continue alternating between ice and no ice until your ice cubes melt. Note: You can pour few drops of any of the essential oils like lemon, lavender and tea tree oil on cloth and place it on the pimple. Wash your face with a mild cleanser, rinse with warm water, and pat dry. Gently massage your entire face with an ice cube, rubbing in circular motions. Once ice has melted, pat skin dry. Apply topical acne medication products that have salicylic acid or benzoyl peroxide. Green tea contains anti – oxidants that protect against the free radicals that cause acne, and it helps heal breakouts. Brew green tea using a store-bought organic tea bag. Stir in the oil from 2 vitamin E capsules. Allow tea to cool in the refrigerator. Pour tea into ice trays and freeze. Use green tea ice on pimples, rubbing in circular motions and concentrating on breakouts. When ice has melted, pat dry. As a natural astringent, rose water tightens pores, evens skin tone, and reduces the size of breakouts. Pour rose water into ice trays and freeze. Ice pimples with rose water popsicles to massage the skin, rubbing in circular motions and concentrating on breakouts. Once ice has melted, wait 5 minutes, then rinse with cool water and pat dry. Rose water can be replaced with cucumber juice or mint, chamomile, or parsley tea. Lemon juice kills the bacteria that cause acne, and it bleaches away acne scars. Mix the juice of 4 lemons with 2 cups of water. Pour into ice tray and freeze. Use lemon popsicles to massage skin, rubbing in circular motions and concentrating on breakouts. Once ice has melted, wait 5 minutes, rinse with cool water, and pat dry. Apply sunblock if you go outside right after using this treatment. For added benefit, mix 2 tablespoons of raw honey into your lemon-water before freezing. Honey kills bacteria, relieves inflammation, and moisturizes skin. This paste kills bacteria and removes toxins from pores. Wash your face with mild cleanser, rinse with warm water, and pat dry. Do not exfoliate, as this spreads bacteria to other pores. Mix 1 teaspoon of sandalwood powder, 1 teaspoon of fresh lemon juice, and enough multani mitti or fuller’s earth to make a paste. Apply paste to breakouts and leave on until dry as it shrinks the pimple’s size and stops new breakouts. Use an ice on pimples and massage gently in circular motion for 5 minutes. Wait for 5 minutes again massage with ice on acne for 5 minutes. Lavender oil soothes and moisturizes while lemon juice kills bacteria and shrinks breakouts. Mix 1 tablespoon each of fresh squeezed lemon juice and lavender oil. Apply on the acne affected skin, massaging gently in circular motions for 5 minutes. Use an ice cube to massage skin, rubbing gently in circular motions. Once ice has melted, rinse with cool water and pat dry. Baking soda balances the skin’s pH levels and exfoliates to remove oil, dead skin cells, and other toxins that clog pores. It also dries and shrinks breakouts. Apply paste to skin, focusing on breakouts. Leave on 25 minutes, then rinse with cool water, massage with an ice cube, and pat dry. Tea tree oil is great for acne. It’s anti-bacterial, anti-fungal, antiseptic. It kills bacteria and regulates oil production. Use an ice cube to massage skin, rubbing in circular motions and focusing on breakouts. Once ice has melted, pat dry. Use fingertips to massage tea tree oil mixture into breakouts. Leave on 5 minutes, then rinse with cool water and pat dry. Before using tea tree oil on your face, do a patch test to find out if you are allergic to it. For best results, follow the advice below when using ice to treat acne. Topical acne products will be more effective when applied after ice massage rather than before. Do not apply heat to emerging breakouts as it causes inflammation. Ice is an effective tool for treating and preventing acne, but it is best used in combination with other ingredients and other topical acne remedies. Ice is most effective when applied 2-3 times per day, especially first thing in the morning and right before bed. Massaging with ice before applying make-up lessens the likelihood that make-up will clog pores and cause breakouts. Begin massaging with ice right when you notice a new breakout forming. Massage with ice for about 2 minutes at a time, but stop once skin feels numb. Ice treatments are not for everyone. Results will vary from person to person. Orange and pomegranate juices are great when you want to ice your pimples. Try freezing them and using the ice cubes to massage skin. When left on skin for too long, ice can cause frostbite and break capillaries beneath the skin. Avoid excess sugar and carbohydrates and eat plenty of protein and leafy greens. Have you tried using ice for pimples? There are many other DIY acne remedies you can try, such as lemon, banana, or even toothpaste. Do you know of any methods we haven’t mentioned? Share your experience with us! Is this method have some disadvantages. .? Don’t keep ice for too long as it can cause blisters. Apply according to the specified time mentioned in the article. Thanks I really needed to Know that.?? Try 1, 6, or 8 method mentioned in the article. Apart from that exfoliate your face regularly, avoid using harsh soaps or face wash, include vitamins rich fruits in your daily diet. I have pimples and acne on my face…..what can I do…?? This may sound weird as heck, but to get rid of oily skin, get one of the toilet seat covers, take the waxy side of it, and just rub it on your face ( don’t worry it’s sanitary ). It works perfectly as i did it too. I have slightly oily skin and now my face is full of pimples and pimple marks as it was so fair a month ago ..plz help me what should I do….. Try methods mentioned in the above article. 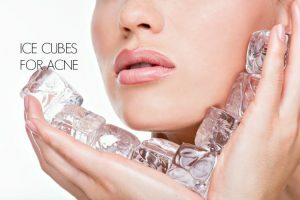 If you are interested in trying ice methods to reduce pimples, you can try the methods mentioned in this article – http://homeremediesforlife.com/pimples/. Apart from that exfoliate your face regularly, reduce oily food and eat nutrition rich diet, remove make up before going to bed, wash your face regularly and drink plenty of water. Pimples are a result of an inner problem so our main focus should be dealing with it instead of depending only on topical applications. Digestive problems, hormonal imbalance and weak immune system can be some of the reasons. To solve the inner problem, consume healthy diet which include fresh fruits and vegetables. Lemon put directly onto acne is proven to be affective but is harmful for the skin. You might not want to try the remedies that have lemon. If you’ve tried the lemon methods up top with lemon, how does it affect your skin? People with sensitive skin may experience burning sensation and irritation. I don’t have sensitive skin. I do apply lemon juice regularly and it didn’t affect my skin. I have pimples on my forehead i need to get rid of them I’m trying many things but it just doesnt work please tell me which one of these methods works fast and really really works not just like this please!! We cannot tell the exact time of healing the pimples as everyone is different. You can try any method as per your skin type and preference. Repeat the process regularly without fail to notice the results. i’m a 13 year old female with acne all over my face. i want to clear my face asap, and increase my immunity to breakouts. for my situation, which method do you recommend for me? You can try any method as per your preference. To prevent future breakouts, you have to make changes to your diet. Include foods rich in vitamin A, B, E and C, iron and potassium. Avoid eating oily, fatty and junk food. Exfoliate once in a week. Remove makeup before going to sleep. is it ok if i try it with a medium sized iced cube with a plastic bag? My daughter has struggled with acne since 7th grade. (She is now a Senior in HS). We have tried almost everything. She is so sensitive to medications she was unable to take antibiotics or even consider Accutane. Proactive and other benzoyl peroxide made her situation worse. She was somewhat successful with Tretinoin Gel microsohere 0.1% but then that was not working! At this time she still uses the Tretinoin, but we added the diluted lemon in ice cubes to her routine and it has been a miracle so far. Highly recommend this non-toxic way of killing the bacteria that causes acne. Thank you!! Will write an update later if it continues to work. I have pimples on my skin but little when I get a heat or heat of a sun my pimples getting bigger. I used all products but still no changes. And my skin is too much oily also is sensitive I don’t even use make-ups. What can I do to get rid of it. Yes, ice is really helpful in treating the existing pimples. If you want to avoid new pimples, then you have to follow a healthy diet, reduce stress levels and exfoliate your skin regularly. Can ice get rid of milia? Please answer me thanks. Is it okay if i just rub it directly to my face?? 3 times daily?? I have so many pimples on my face.so,now I m using lemon and ice cubes.how many days want it to clear pimples from face. It is difficult to tell the exact time frame as everyone has different skin texture and healing capacity. So, we recommend following the method regularly to achieve the results. However, you should start seeing improvement in a week. My skin is sensitive and I have acne and acne scars I have lots of hyperpigmentation. I have had this problem ever since I was 8 and I am currently 14. Whenever I use lemon, my skin dries lots- maybe I left it for too long :\ What method do you think would be best suited for me?? Try 1, 3, or 4th method mentioned above in the article. My face is suffering from redness and many pimples and acne. Redness is from almost one year. Please tell the solution. You can try 1, 3, or 4th method mentioned in the above article. I have pimples and dark spots on my face.what should I do???? Acne on forhead with redness, what is suitable? Can i mix water ,rosewater,lemon juice and make a ice cube of it and use it in pimple to remove black spots. ? Hii.I am having pimples on my face and black heads too much.I tried so many to get rid of pimples. But no use instead I am getting new pimples on my face.Plz give best solution in above article.And so many black heads on my face.plz reply as soon as possible. SoothieQ is perfect for this.